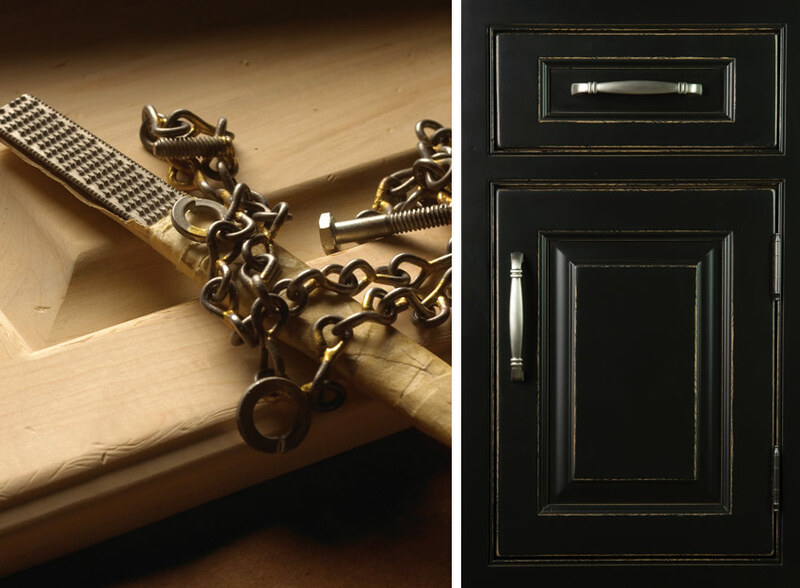 As I mentioned in our "A Fine Finish Is Just The Beginning" blog post finish is the lifeblood of any custom cabinetry project. 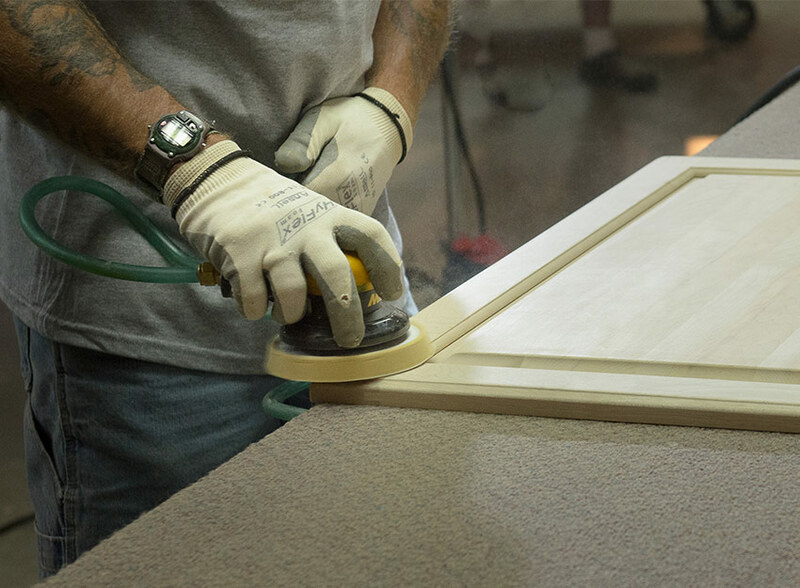 However, the first and most important step to a great finish is great sanding. Each component of every job that travels through our plant is sanded by hand to ensure a consistent look and feel. Random Orbital Sanders are used for larger areas while different techniques are used for "harder to reach" spots. RPM's and paper is also specified for each application. Distressing finishes are created using some very unique tools, as seen above. One of our most labor intensive styles is the dry brush look. 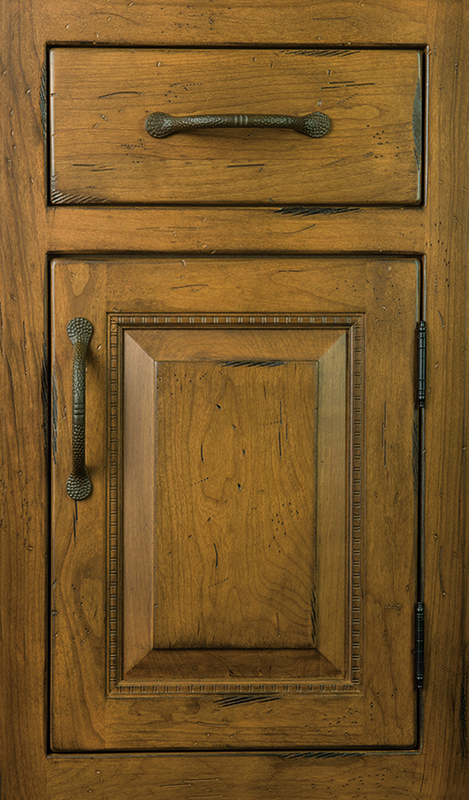 In addition to the antique distress options, heavy wear marks created using a wood rasp and plenty of force set this look apart. Dry brush glaze finishes produce a vintage, worn look. Our sanding department is also responsible for spotting any checks or machine marks before the job moves on to the next step. 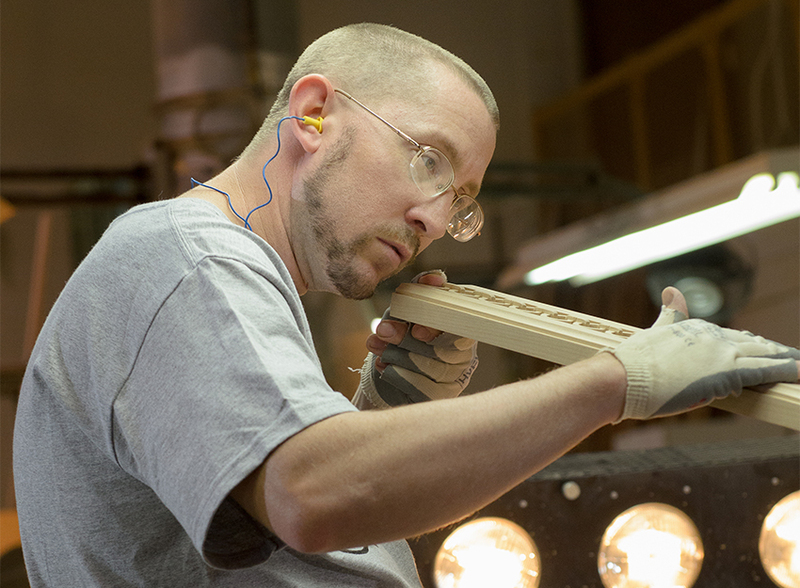 Sanding parts individually allows our craftsmen to conduct a hands-on inspection of each and every piece they touch. Painstaking efforts are taken to ensure irregularities such as grain raise, checks and open joints are found and corrected before finish is applied.